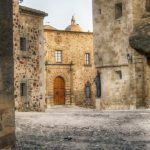 This is a very charming, small town in the province of Cáceres, where visitors can enjoy a relaxed day, admiring the old city wall, and remaining parts of the Roman aqueduct. Furthermore the old and the new cathedral can be visited, as well as the main square Plaza Mayor for some calm quality time in the sun. Gastronomically seen, Plasencia is a good spot to try & taste the specialties of Cáceres and Extremadura with nice surroundings guaranteeing a special time and a great experience. The region of Extremadura is famous for its wide nature, perfect for activities like hiking or bird watching. 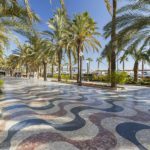 The climate is supporting these activities with mild winters and warm summers, due to its location just north of Andalusia and sharing the complete western border with Portugal, which at the same time gives the area a Mediterranean as well as Atlantic maritime touch. Several National Parks for example along the riverbeds of the rivers Tajo and Guadiana, or the beautiful mountain ranges are just examples for the vast and fertile nature of Extremadura.